I'm currently reading Gretchen Rubin's newest book, The Four Tendencies. I have SO much to say (again), about her amazing framework, how it helps me discover my own nature and how to deal with the people in my life, but I wanted to make a quick little observation for this Sunday letterboard of mine. I've always been a fan of Sundays...at least since I've stopped working out of the house. There's something rejuvenating, relaxing, and replenishing about them. The way it was intended, yes? Sure, there's some to do list tackling and week prepping, but I find that of all the days of the week, I do the most "what feels good to me right now" or "what will feel good to have accomplished this week" type of action on a Sunday. A characteristic of the Rebel personality (of which I am a member - I'll talk more about it soon! ), is that we follow our feelings in everything we do. Our gut, our intuition, our emotion, our core - it's the driving force of our life. More than logic or obligation or duty, we listen to our souls. 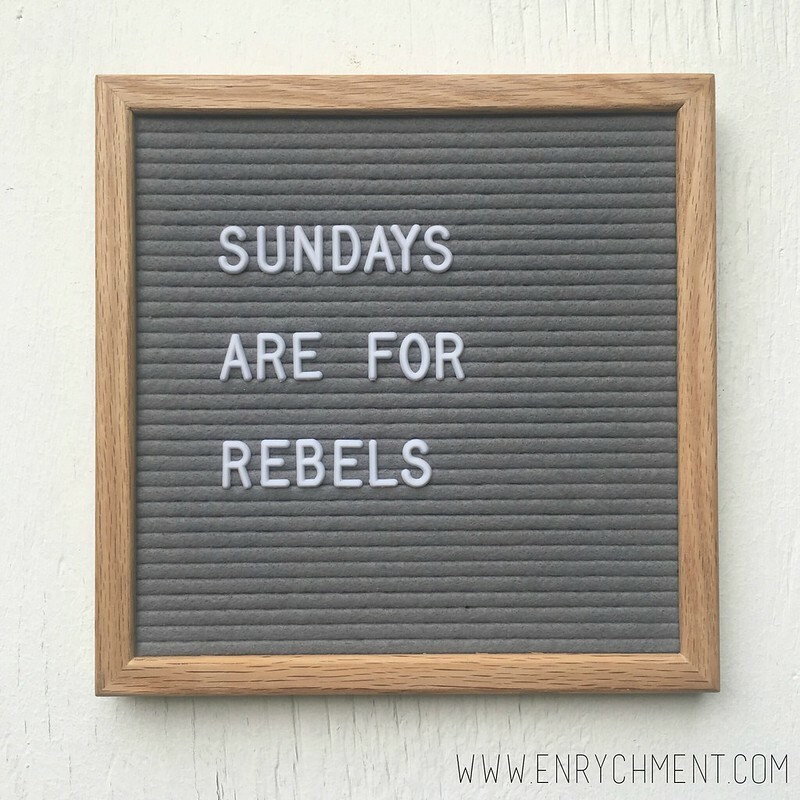 And so, the Sunday vibe is perfectly molded for the Rebel individual.